Raven Guard. Masters of the jump pack way of war. For years the rules have not supported a competitive builds for such a list... until now. 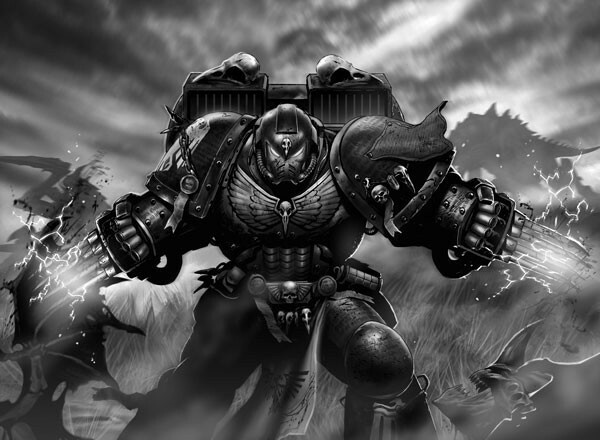 Several changes in the newest legion rules and legion codex make Raven Guard jumpers lists fun and very competitive. Let's review them! 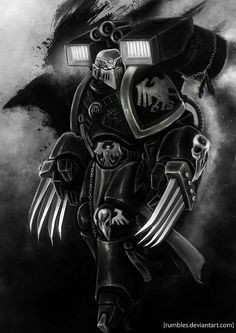 First off, it's worth mentioning that Raven Guard are one of the few legions that get a bonus that boost assault marines output. Jump Infantry get Furious Charge, making them +1 Strength on the charge. On face value, this looks like a minor free bonus, but it opens up the combo of of taking power axes to make you S6 on the charge, which combos with Rad grenades that reduce the toughness of your opponent by -1 toughness. Now you wound on the charge with an AP2 weapon AND you are now twice their toughness so you oblit multi wound T4 models. This is a strong combo for dealing with Legion specific terminators and other similar units. Raven Guard actually have a couple Rite of War options for running a jump infantry list. You can go Angel's Wrath or Drop Assault Vanguard or even Recon ROW. I've written a couple reviews on these options (links below), but in general, I think you are best off goign with Angel's Wrath for a pure jumpers list, but it does hugely restrict our unit options. I can't harp on how powerful Hit & Run is as rule. For one it's very fun to use, but it increases your offensive output by charge over and over again. It also can be used defensively to hide your unit in hth in your opponent's shooting phase. Most importantly though, it drastically increases your speed and you can charge a unit and sling shot out with Hit & Run. Interestingly, he is the only Primarch you could run with the Angel's of Wrath ROW, without being deployed in a flier. And he looks good doing too. Sire of the Raven Guard: Gives acute senses, which unfortunately adds nothing to the list unless you give a unit an Vigilator. However, it also gives every unit a full 6" if they run, which makes a jumper list absolutely insano fast. So fast it basically means you assault everything and anything you want turn 2. Master of the Legion: Unlocks the Angel's of Wrath ROW and unlocks a command squad. Weapons: So the fluffy choice is obviously twin Raven Talons, but that costs you 20 some points and attack compared to a Dark Fury squad as like 8 points an attack, so it's hugely inefficient but obviously cool. The obvious choice is the paragon blade, since it's a great weapon, but remember that you really can't hang with other other legions Praetors. They can be built tougher and hit harder than anything we can deploy. Finally, you could run the fractal harrow blade, which can be very helpful for breaking a unit, but again it seems like a lot of points for combat resolution. This is your cheapest Warlord choice. That said, you are already paying for a jump pack or jetbikes, so I find it's usually better to just take the Praetor. But if you want to take Delgatus, they get more out of a jet bike than a Praetor does. So taking this guy on a jetbike can be a good rear guard unit. Yes. There is nothing stopping you from taking a jump pack and the servo arm. Crazy, but I kinda want to model this!!!! Rad Grenades: -1 toughness is great with +1S and AP2 Power Axes. Awesome for oblits T4 termies. Jetbike & Graviton Gun: Not a jumper, but still works in this list. What is nice about this option is that you pick up the relentless rule, so you can run a graviton gun. Works well with other speeders. These guys just have a ton of rules that jump or bike can't get anywhere else. I personally like giving them scout armor and a jump, which gives a unit scout, stealth and move through cover. This this ROW it also opens up outflank, which is interesting with Corax which gives everyone acute sense. Move through cover and stealth let's you bounce your units through cover, or deep strike into it and not die. Plus you get +1 cover save, which is basically like running around with storm shields but in 30K. Probably my favorite consul choice for an Angel's of Wrath Army. Fearless makes units like Assault Marines wonderful tarpits. Plus the re roll to hit on the first turn of combat is awesome, but it's actually the re roll to hit with melta bombs that makes this guy great. It makes basic assault marines lethal to all tanks. Add these two elements together and you have made your basic jumper REALLY good. Totally out classed by the new apothecaries. You will go 2 levels of telepathy with this guy. It offers a lot of stay a live powers, which is kinda what you want with jump infantry. Psychic shriek is also a solid primaris power. If you wanted to mix it up though, you might consider biomancy, as the force weapon can become nasty with a pumped up psycher. Another weird choice, but he can take a jump pack. He also lets you take phosphex bombs, which are scary as hell. Plus he has a nuncio vox, so units can use him as risk free deepstrike. Finally, he has the tank hunter rule, so give this guy a combi melta and a powerfist. S9 on the charge is the real deal with tank hunter. Not a great unit for this list. Cool as hell, but you really want to get a force multiplier out of a consul if you take a second HQ. Better as a defensive unit, but really doesn't add much to this ROW build other than a pie plate and deepstrike scatter. A lack luster choice for this ROW. I would also spend the point to upgrade to something specialized. Apothecaries are HUGELY better with the new codex. First off, they gained the jump pack option, so now they can run with jump packers. I think the obvious choice is to put these in a big asaault marine squad or a a Dark Fury squad. Jump packs: At 36 points for 5 of them, they are definitely not your cheapest option for jumpers, but they do come with Artificer armor, 2 attacks and WS5. Weapons: I like the S9 powerfist option. They can tank hunt. They can kill termies. With 2+ armor they are in a good place to wipeout mass infantry as well. The only other option I would consider is power axes if you are running a forgelord with rad grenades. The new Legion Astartes Age of Darkness Army List, huge reduces the cost to run assault marines. Assault marines are basically 17.5 pts each for a squad of 10 and 15 pts each for a squad of 20. In this list, these are your troops, so it's important to get as much as you can out of them. Scoring: Ok. Obvious, but unlike most other Raven Guard forces, where you have all sorts of scoring elements in your elite and fast slots, in a jumper force, this will likely be your only objective grabbers. So resilience or redundancy of troops is an important aspect of this build. Tank Hunting: Assault Marines com with krack grenades and can be upgraded to melta bombs, which is hugely powerful. 20 melta bombs will deal with any tank in the game. When it comes to tank hunting you will have to decide to either do it with assault marines or with skimmers and fliers. While both are viable, I think it's worth noting that Assault marines even hitting at S5 are not especially amazing, but as tank hunters, they are absolutely frightening. In my opinion, using them to tank hunt is how you get the most out your troop section. Also, on a tactical note, remember that multi charging is a powerful option. Sure you lose an attack from disordered charge but you can blow up multiple tanks or more importantly you can charge an infantry unit AND a tank, blow up the tank and be locked in combat during your opponents next turn, which denies that unit from shooting and your assault unit from being shot at. Power Weapons: One in 5 can take guys can take a power weapon. This is basically where most of your killy power will come from. I like Axes. 12 S6 AP2 attacks on the charge can do some serious damage and as I mentioned earlier, it combos well with Rad Grenades. Combat Shields: At 3 points, it's an option worth considering, especially if you plan on tar pitting with the unit. This is really a personal choice, but be careful not to go overboard on toys. You are ging to need points elsewhere in this list. The SGT: The fluff choice is probably a pair of lightning claws or raven talons on your squad leader, but I think the most appropriate choice is probably a powerfist. It adds most tank hunting and killy for a fairly small amount of points. And it's S9 on the charge ;) Artificer armor is also a choice, but I would normally just keep him cheaper. Apothecaries can now take jump packs! Awesome. But realise they are a very expensive basic trooper. For 80 pts you get a jump pack, power weapon and artificer armor. Naked they run 60 with a jump pack, which is basically 4 jump pack marines in cost, so they really only make sense in big squads or attached to 10 man Dark Fury units. Destroyers are an odd mix of gunslingers, trained in the use of frowned upon weapons like rad and phosphex munitions. They also have the option of taking jump packs, which makes them relevant to this list. Dark Fury are on of the most undercosted and most powerful units in the game and they just received a HUGE upgrade in that they all now have Raven Talons FOR FREE! The SGT: This unit doesn't have much in the way of options other than size or if you take melta bombs on the Chooser of the Slain. In generally, the bigger squads are more efficient and you will lose guys on the way in... So I tend to max them out. Fateful Decent: 5+ cover on the turn they arrive from deep strike is pretty cool. It lets you lock up units with assault marines and smash them with Dark Fury. It's also a cover save so things like stealth and shrouding stack with it. All that said, if you deepstrike, you are coming in on turn 2 at the soonest and charging turn 3 at the soonest. A couple bad reserve rolls and the game might be over by the time these come in. So consider your options for reserve manipulation as well as helping with deep strike scatter if you plan on using them this way. Javelins also received a large 20 pt price drop. In addition, they picked up strafing run and an awesome rule that gives them -2 to hit in hth when not immobilized. These changes make this unit a lot more desireable. I would pass on the lascannons, but as a long range missile boat, with 2 5pt hunter-killer missiles, a hvy bolter and a twin-linked cyclone missile launcher all for 65 pts. They are not a bad support unit. The Xiphon is a great anti air fighter. They are very effective at hunting other fliers, and with 2 twin linked cannons and a rotary missile launcher, they aren't bad at tank hunting in general. Outside of running the Angel's Wrath ROW or the Recon ROW, this (and the Kbarybdis) is your only other way to bring in everyone in fliers. The anvillus is a great unit. For one, you don't have to get out of the pod when it comes in. You can even shoot out of it when it's in hover mode. Plus it can contest, unlike normal pods, and be reused.This is also the cheap way to deepstrike termies in a Raven Guard list. Lightnings are great little glass canon gun platforms. 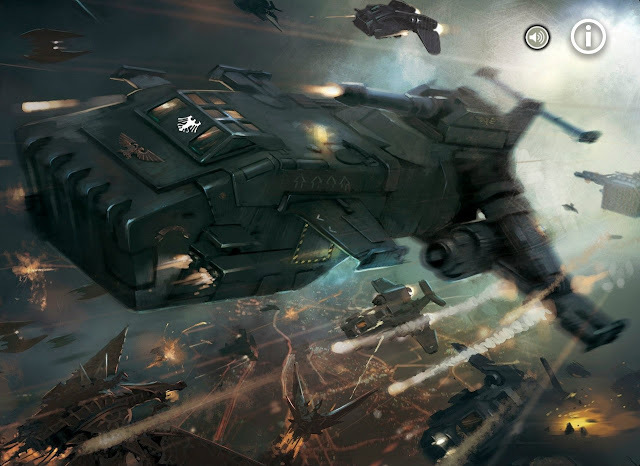 There are a couple ways to run them cost effectively but most people go with the Xerxes build, which is all about Spartan hunting by loading up with kraken missiles. In an air force list, these guys are most likely your heavy tank hunters. In this list, you can take a couple with melta bombs and run it as an HQ bodyguard. Overall though, they don't really pick up much from this ROW. They don't have much hth punch. Melta bombs are the most they add to this list. A solid choice for this ROW, as you can use it to kill light transports and soften up squads you plan to charge. Point for point it's one of the better costed unit in the codex. All that said though, you should be pretty good as killing infantry with your jumpers, so it's kind of a redundant unit. As a gun platform they are mobile and resilient, however they don't pack as much of a punch as a similarly priced speeder squadron. They are however an interesting alternative to a HQ retinue for something like a forgelord or siegebreaker on a bike. Beyond the above mentioned units, anything that can be crammed into an anvilus or other flier can potentially be taken. But you will find that EVERYTHING in this list is pretty expensive and you don't have much room to add flier transports. So if you are taking something that is not a jumper, skimmer or flier it's probably plugging a hole like anti spartan detail. One of the annoying parts of building this list is having to take a master of the legion. Neither the praetor or delegatus add much to the list other than being a beat stick. And Corax is awesome but obviously cost prohibitive at lower point levels. 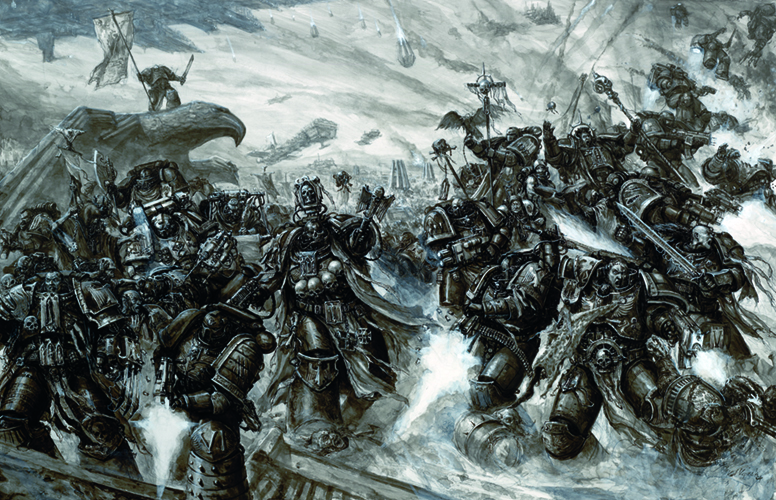 That said, beyond that there are a ton of good options for a second HQ, but honestly I find it hard not to take a Chaplain in a big assault squad. Re-rolling to hit on melta bombs and adding fearless to such an expensive squad seems almost necessary, and it fills most of your tank hunting needs. But beyond troops you have great options on Dark Fury squads. These guys mince just about anything. They are awesome if you can get them into hth. They also pick up hit and run which is astoundingly good on these guys. Fast attack get crowded quick though, as you have no viable tank hunting elite options other than anvilus drop contemptors and the like. If you don't take melta bomb assault squads you will need to look toward options like deepstrike speeder squadrons or lightnings. In general, I think they way you make this list work is with a lot of elite bodies. 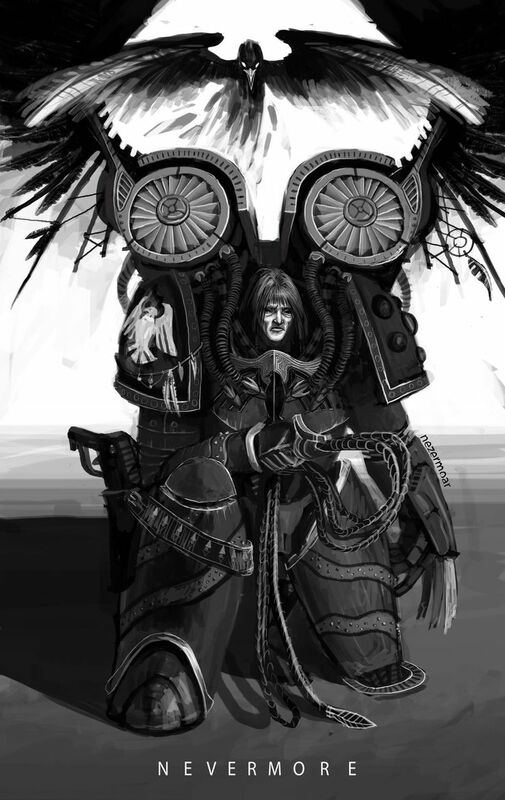 @2250 pts if you swap out the Praetor for Corax. At first glance this list looks pretty elite, but remember that you can hide in hth because you have hit and run and you should be in hth with your entire army by turn 2. As a general tactica, your plan should be to multi charge as many tanks and infantry units as possible in turn two with the big assault squad. They are fearless, cause fear and re-roll to hit with melta bombs, have feel no pain. Plus the boarding shield gives them a bit of counter charge protection. The Dark Fury squads can easily chew through anything you have locked in combat. In general, I would deepstrike the 10 man assault unit. Keep it in reserve as a late round scoring unit. Beyond that, this list should usually start everything on the board, unless you are playing agianst something reserve heavy, like a drop pod force. If this list has any weakness, it's that it's a little low on scoring units. Potentially, you could jigger the points to swap a Dark Fury squad for 2 more units of 10 assault marines. Finally, it makes a big difference if you go first or second. Starting second means you eat another round of shooting, so depending on terrain, you might opt to reserve a dark fury squad or two. Anvillus pods do not have the rule +fire points+ in their listed stats, so how are you shooting out of them in hover mode? or are you referencing the heat blast attack? "You can even shoot out of it when it's in hover mode. " How? An Anvillus Drop Pod has no Fire Points. You can only throw one bomb/grenade, not 20. Others notes... Night hunter is jump infantry. The xiphon is now a terrible tank hunting option since it can only snap shoot at ground targets since it's an interceptor. On another note, I have had great success with my detroyers not needing an hq for rad has been pretty amazing. They are also super useful against iron tenth prevaines with castillax. First up, thanks for the amazing blog, it's one of the reasons I decided to collect RG! Currently building a force based on the legion recon ROW with a few power axed Vigilators. However I can't see how to take rad grenades? I'm using the red book and Quartermaster and there doesn't seem to be an option? Interesting. I hadn't noticed it was either or. I'll update that. How do you run yours? They seem prohibitively expensive to add jump packs. The only success I've had its 5 in a rhino worth a phosphex grenade but even that was a little clunky. You can only get rad grenades from a forgelord or destroyerst. Maybe moritats have them too. Sorry for the wait on reply. I run themine. Max 10 man w/ 2 rad launchers, 1 phosphox bomb, arty armour, a power axe on sarge and jump packs. Points are the same to take packs for both a 5 and a 10 man squad so worth in a 10 man. Between the rad grenades, the power axe, and wing and talon the sarge inflicts instant death. When feeling greedy I add a praetor with lightning claws, paragon blade, digital lasers, and a jump pack for 7 instant death attacks on charge. Should say "another 7 instant death attacks". 7 of them at I5 and 4 more at 4 at i1. Why paragon blade and the lightning claws?